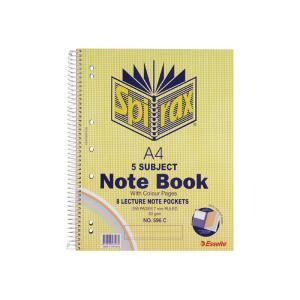 Spirax subject notebooks can be used in the office or school environment. The pages of the notebooks are divided into subjects or sections by the use of pocketed cardboard dividers. The pockets can be used for holding loose leaf material and handouts.